Tales from the Real OC (Really! ): Get 'yer Signed Books! Want a signed copy but can't make it to one of the DARK FLAME BOOK SIGNINGS??? 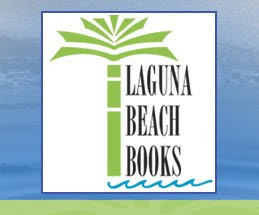 Well, you're in luck, because the good people over at Laguna Beach Books have 20 copies off DARK FLAME hot-off-the-press, which they will happily sell to anyone who calls to order one at: 949.494.4779. I will drop by this weekend (before I leave for tour) to sign your copy so they can mail it to you! Easy-Peasy, as Riley would say! But hurry--I hear they're going fast! you kill me like that! for those who live in another country? Rayra- I know, I always feel bad about that--so sorry! hhhhhhmmmmmmmmmmm..... i think i might get one for dark flame!!! Ah darn it! I got excited, then even more excited, then my excitement quickly turned to disappointment. I'm going to be in Laguna Niguel this coming week and saw that you had a signing close by in Mission Viejo while I'm there. Then realized that I'm in Vegas that night. Then saw the first post about this (the signed copies at the book store), then saw this post saying only 20 copies. :( Are you going to be continuing to sign them once you return back to CA from the book tour? Cause I'll be right there until the 3rd and would absolutely LOVE to get a copy while I'm there!